In the West we are familiar with ballet and performances like the Nutcracker or Swan Lake. But there’s another classical dance form with a long history that has only recently burst onto the world scene. It is called classical Chinese dance. 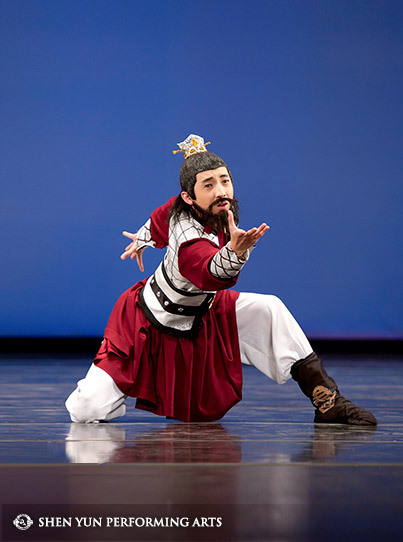 Classical Chinese dance is an incredibly demanding, refined, and expressive dance form. Alongside ballet, it is also one of the most comprehensive dance systems known to humankind. Until a few years ago, very few people outside China ever heard of classical Chinese dance. One main reason is that when Chinese companies performed abroad, they often mixed Chinese dance with ballet, contemporary dance, modern, and jazz. And so the audience left the theater not sure exactly what they just saw. 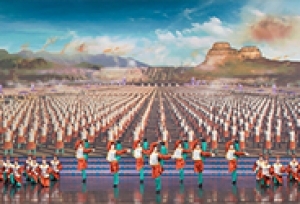 In 2006, however, Shen Yun Performing Arts was established in New York. Its founding mission was to revive genuine traditional culture, and this included presenting classical Chinese dance in its purest form. A decade later, classical Chinese dance has almost become a household name and has had tremendous influence over other art forms. What's the difference, then, between ballet and classical Chinese dance? Both can be incredibly beautiful. Both are very athletic and require years of disciplined hard work. And yet, the feel you get watching these two dance forms is markedly distinct. To really experience this, you have to watch a classical Chinese dance performance. But, by way of introduction, here are a few basic differences. Ballet has a history of several hundred years. Its history can be traced back to the Italian renaissance in the 15th century. 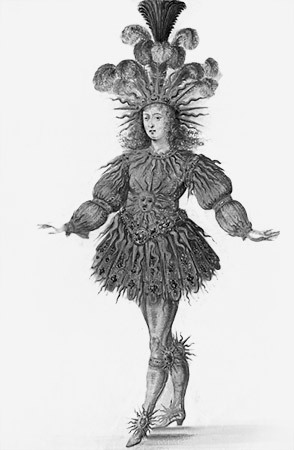 The art form was systematized by King Louis XIV about a hundred years later. Classical Chinese dance is rooted in five millennia of Chinese civilization. Its origins go back to dances in ancient imperial palaces and folk traditions that were passed down through the generations. 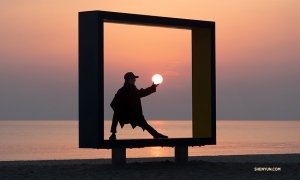 Some elements were preserved to this day through martial arts, but more on that in a moment. Both ballet and classical Chinese dance have very systematic training systems, but their approaches are different. Ballet’s many training methods usually start with footwork and strengthening the legs and core muscles. 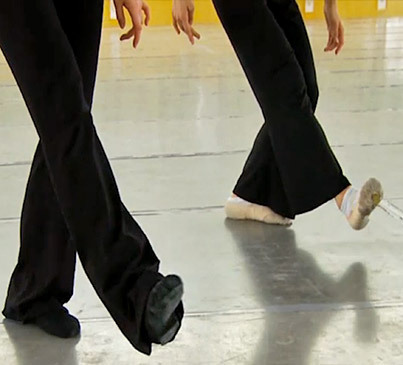 Training advances to include work on the hands, pointe, partnering, and ballet's high-level techniques. Classical Chinese dance training includes three main components—technical skill, form, and bearing. The high-level techniques of classical Chinese dance are also incredibly demanding and include many movements not present in ballet (more on that below). “Form” is a system of numerous distinctly Chinese movements and postures. But perhaps the most important part of the training is “bearing,” or in Chinese—yun (the same yun in Shen Yun). Yun is the inner feeling behind a movement. It is deeply connected to the dancer’s breathing and state of mind, and uniquely reflects a performer’s personality. At a professional level, both ballet and classical Chinese dancers are incredibly fit, slim, and have seemingly inhuman flexibility and muscle control. But the two training styles also lead to differences in the dancers’ physicality. Simply put, ballet and classical Chinese dance use muscles differently. Ballet builds on the existing human anatomy to develop muscles in a new way specific to the needs of ballet. Classical Chinese dance, however, uses the same muscles that we use on a daily basis and does not require them to be specifically developed. The muscles a dancer uses when walking, running, or playing basketball are the same muscles used in classical Chinese dance. So if you see a classical Chinese dancer walking down the street, you might only notice a fit person with great posture and a graceful, easy gait. 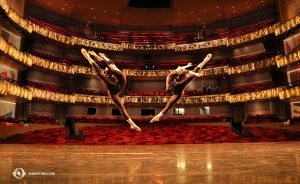 Modern ballet has incorporated techniques from different art forms, including classical Chinese dance. 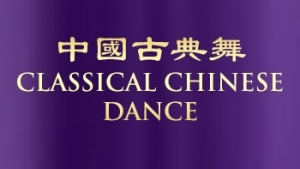 But when comparing traditional ballet and classical Chinese dance, one of the things that audience members often notice is the range and degree of difficulty of classical Chinese dance techniques. Spins, for example, are performed differently. In ballet, they are performed vertically, with the body on a perfectly perpendicular axis. In classical Chinese dance, these techniques are performed with the upper body leaning forward, tilting upwards, or twisting backwards, and as a result, spins can take place on multiple planes. Classical Chinese dancers can even spin with one leg held high above their heads. Another example is the flips (fanteng) of classical Chinese dance, which do not exist in ballet. 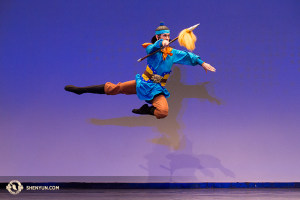 In Shen Yun performances, these flips often draw gasps from the audience. 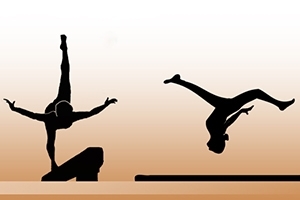 People sometimes mistakenly call these moves “acrobatics” or “gymnastics,” but the truth is, it’s the opposite. These difficult flips actually originated from classical Chinese dance and have a history of thousands of years. A few decades ago, Chinese gymnasts began borrowing these moves from classical Chinese dance and introduced them in the Olympics. That is how most people in the West learned about them, and is why it’s not commonly known where they actually came from. Classical Chinese dance has a special relationship with martial arts that does not exist in ballet. Classical Chinese dance and Chinese martial arts can be said to be like brothers with similar talents who chose different paths. In ancient China, during grand celebrations in the imperial palace, generals would perform in front of the emperor. The same martial arts moves they use on the battlefield became an art form, dance. It’s not that one evolved into the other. Rather, the same technique used for fighting is martials arts and used civilly is dance. The Chinese language even has a clue about this—the wu in wu shu (martial arts) and the wu in wu dao (dance) are written differently but pronounced exactly the same. Ballet, from the West, and classical Chinese dance, from the East, are founded in distinct cultural heritages. This difference is intangible, but perhaps an example can help illustrate it. In Western culture, when you approach someone you want to speak to, you would generally walk up to that person in a straight line. In traditional Eastern culture, you would approach this person in a roundabout way, through a circular trajectory. This difference can be seen in how ballet emphasizes linear, distinct movement, and classical Chinese dance emphasizes movements that are round and continuous, with no pauses. Ballet, too, has perfectly round movements and postures, but in classical Chinese dance circularity is a basic attribute that permeates all movements. The “figure eight circle” (ba zi yuan), for instance, is a movement resembling a bow ribbon. To go forward, the movement starts backward, and to go left it goes right first—together forming a figure eight. This move can be a small hand gesture or a grand open spin of the entire body, adding layers of complexity to even the minute movements of classical Chinese dance. One final difference that is immediately easy to spot is how female dancers move across the stage. In ballet, movement is often on pointe, with a perfectly straight leg extending all the way to the tips of the toes. Sometimes, a female ballet dancer will also move in great dramatic strides that emphasize openness. In classical Chinese dance, unless they are performing a technique, the ladies move with a rapid heel-to-toe mini-step. It looks like they are not so much walking as they are gliding across the stage. The movement is so quick and smooth that it makes the dancers seem as if floating on a cloud. One dance form is more well-known, another is less known yet more ancient. In spite of their differences, though, both ballet and classical Chinese dance have the ability to vividly tell stories and move us through beautiful art. 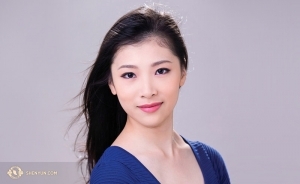 Here are some more resources for getting to know classical Chinese dance. There is nothing, though, like experiencing it live. 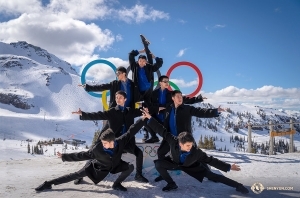 Olympic Gymnastics and Chinese Dance – Did You Notice Something?